We are one of the prominent organizations engaged in providing Pinbush Coupling that has highly developed rubber compounds for use in bushes to absorb shock, tensional vibrations and slight misalignments. 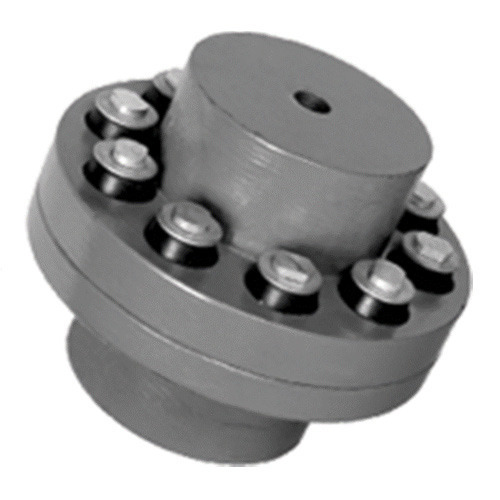 These couplings are flexible in type and are generally of the cushioned drive type that is used for transmitting the torque through optimum tensile steel bolts to the machine input. Moreover, these are simple and compact in construction that makes these capable of transmitting high torques at maximum speeds. These types of couplings generally permit drive in either direction and require neither lubrication, nor adjustment after fitting.